This compact combo has lots of built-in benefits. Easy-to-install and even easier to use, it has a bright screen 4.3” display that is easy to read on a sunny day on the water. 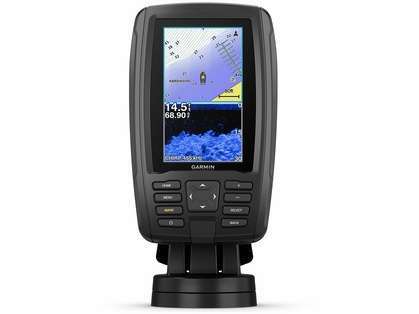 It includes one transducer that features both Garmin CHIRP traditional sonar that delivers remarkable target separation and CHIRP ClearVü scanning sonar for nearly photographic images of what’s below the boat. 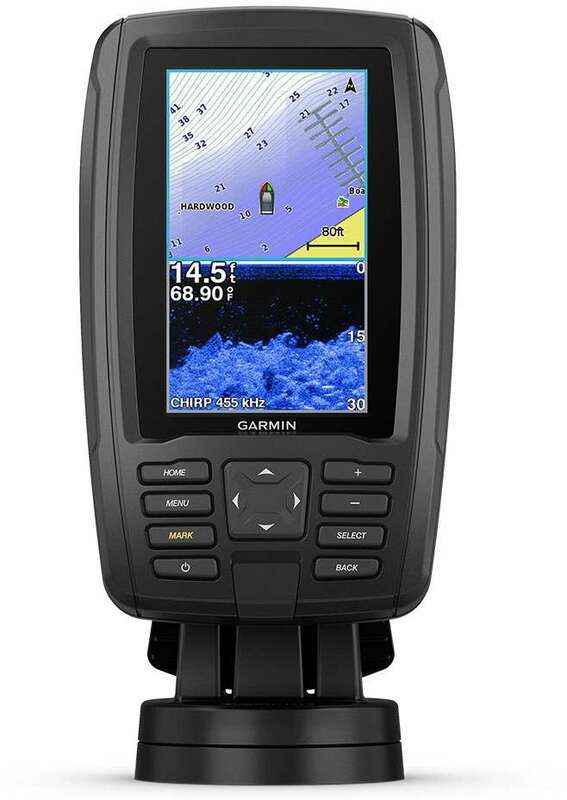 Preloaded with BlueChart g2 charts for the coastal U.S. Plus, it has Quickdraw Contours mapping software to instantly create personalized fishing maps on-screen with 1’ contours as you fish. You own these maps. They are yours to keep private or share with the Quickdraw Community on Garmin Connect™. Plus, you can share waypoints and routes with other ECHOMAP or STRIKER units. It also features a quick-release mount allowing you to quickly install and remove your device from power and mount. Transom and trolling motor mounts included. The built-in sonar capabilities of ECHOMAP Plus 43cv include our CHIRP traditional sonar, one of the most sophisticated sonar technologies available for the fishing and boating public. CHIRP traditional sonar provides amazingly clear target separation and definition, because it puts even more energy onto the target than traditional sonar. It also provides traditional sonar support for Minn Kota® and MotorGuide® trolling motors with integrated transducers. Step up to BlueChart g2 HD or BlueChart g2 Vision HD, which adds Auto Guidance¹ and other great features. A single microSD™ card slot provides expandable memory for accessory map purchases.